Explanation: If you wait long enough, the entire Solar System will rise before you. To see such a sight, however, you will need to look in the direction of the ecliptic. All of the planets and their moons orbit the Sun in nearly the same plane, the ecliptic plane. 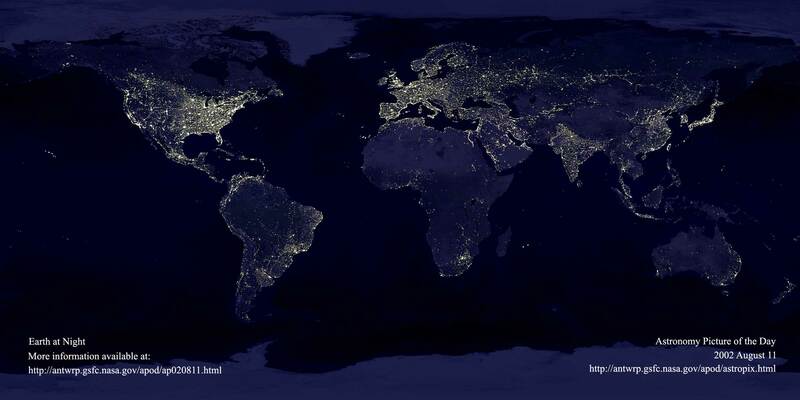 From the Earth, this means that each day they will all rise in nearly the same direction - and later set in the opposite direction. 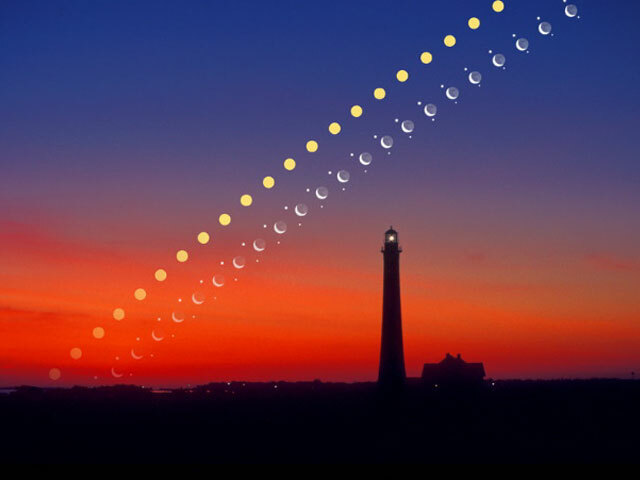 Ten years ago, a series of time exposures caught, left to right, the Sun, Venus, the Moon, and Jupiter, all rising in the ecliptic plane behind Fire Island, New York, USA. 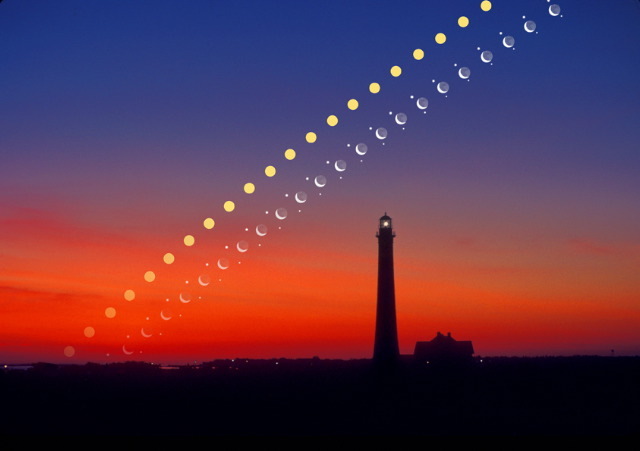 Exposures were taken every six minutes and digitally superposed on an image taken from the same location at sunrise. Smaller members of our Solar System, including most comets and many asteroids, do not always move along the ecliptic plane. The picturesque Fire Island Lighthouse, visible in the foreground, was built in 1826 and is still in use today.